AlphaCard ID Suite Standard card design software is full featured software, designed to be used by businesses of any size. The built-in database holds unlimited records, along with options to connect external database, so you can always store all your cardholder data. 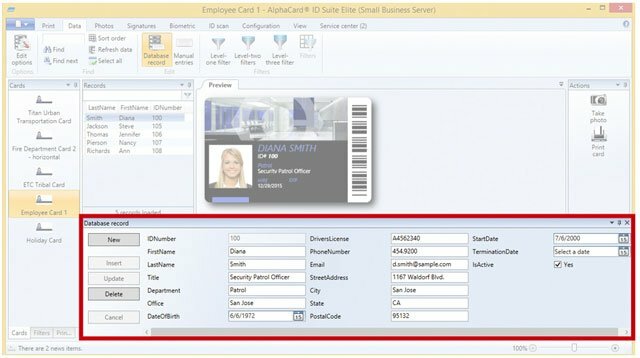 It's easy to include all your important information with AlphaCard ID Suite Standard "" the software is compatible with Logitech digital cameras so you can easily pull in cardholder photos, along with your business logo or other images, and text fields for your cardholder"s information. You can also use Standard to code and print 1D and 2D barcodes, including QR codes, along with HiCo and LoCo barcodes. With Standard, you also have options for customizable drop-down lists, a popular feature with many ID card programs "" this makes it easy to assign cardholders into one class from a set list of roles. You'll also get advanced record field formatting. 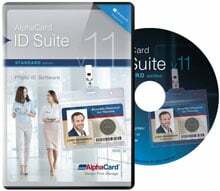 Edition, single user which includes AlphaCare Support.The updated and improved AlphaCard ID Suite Standard v11 is mid-level card design and database software for small to medium sized organization. 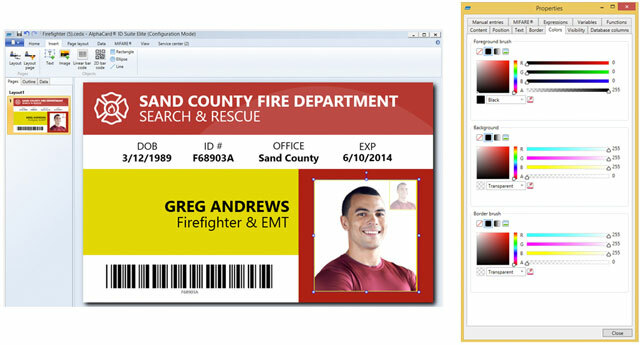 An innovative photo ID software that integrates ID card design, production, and database management in one easy interface.The Standard Edition provides a software solution for independent users and locations. With a wide range of capabilities, AlphaCard ID Suite Standard Edition makes it easy to produce professional ID cards with robust security features. AlphaCard ID Suite Standard also supports database connectivity for Microsoft Access, Excel, and Text DB. System requirements: 32 or 64 bit Windows Operating System (Windows XP, Vista, 7, 8, or 10), Explorer 6 or higher, Microsoft .NET Framework 4.0, dual core processor, 1024MB of free internal memory, 200 MB of free disk space, and an internet connection for automatic activation and online help files. ID Suite Standard Edition, single user which includes AlphaCare Support. An innovative photo ID software that integrates ID card design, production, and database management in one easy interface. Designed for small to mid-sized businesses and organizations, the Standard Edition provides a software solution for independent users and locations. 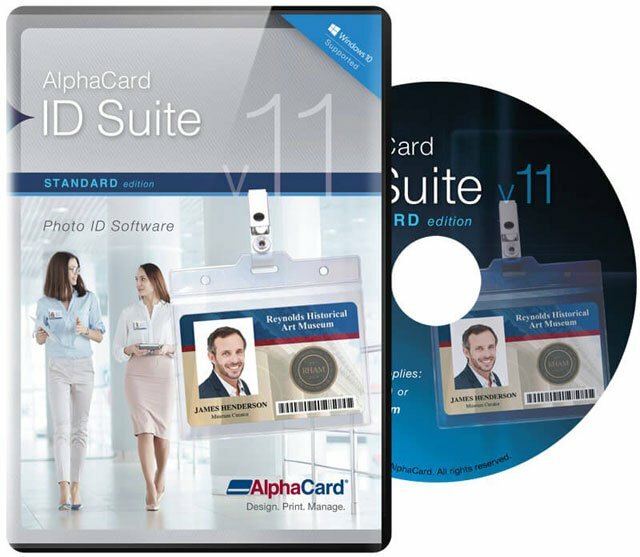 With a wide range of capabilities, AlphaCard ID Suite Standard Edition makes it easy to produce professional ID cards with robust security features. AlphaCard ID Suite Standard also supports database connectivity for Microsoft Access, Excel, and Text DB. System requirements: 32 or 64 bit Windows Operating System (Windows XP, Vista, 7, or 8), Explorer 6 or higher, Microsoft .NET Framework 4.0, dual core processor, 1024 MB of free internal memory, 200 MB of free disk space, and an internet connection for automatic activation and online help files.